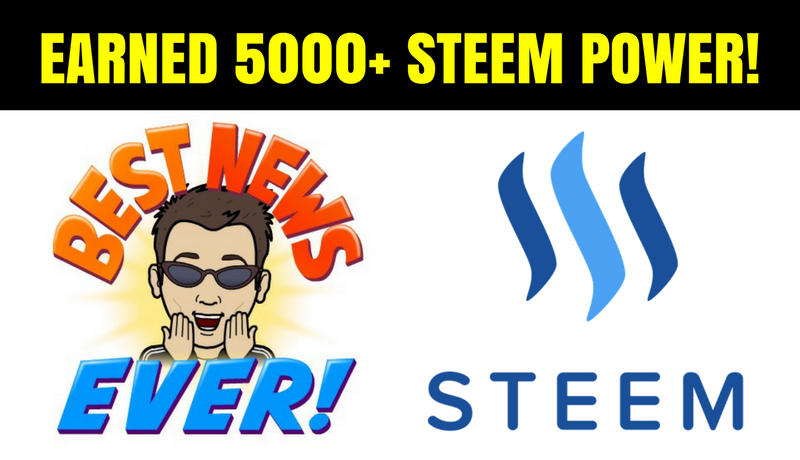 ✴️ EARNED OVER 5000+ STEEM POWER IN LESS THAN 4 MONTHS... IF I DID IT, YOU CAN TOO!steemCreated with Sketch. Won't Stop, Can't Stop... Will Never Ever Stop ~ Charles Fuchs. I couldn't of accomplish this goal without the tremendous support from all the "Minnows 🐠", "Dolphins 🐬" and especially the "Whales 🐋". 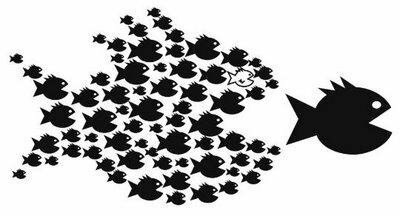 I wanted to know if it was possible for people to achieve "Dolphin Status (5000+ Steem Power)" just by blogging and being an active member of the community. Last night I hit one of my Personal Milestones of "Earning 5000+ Steem Power". 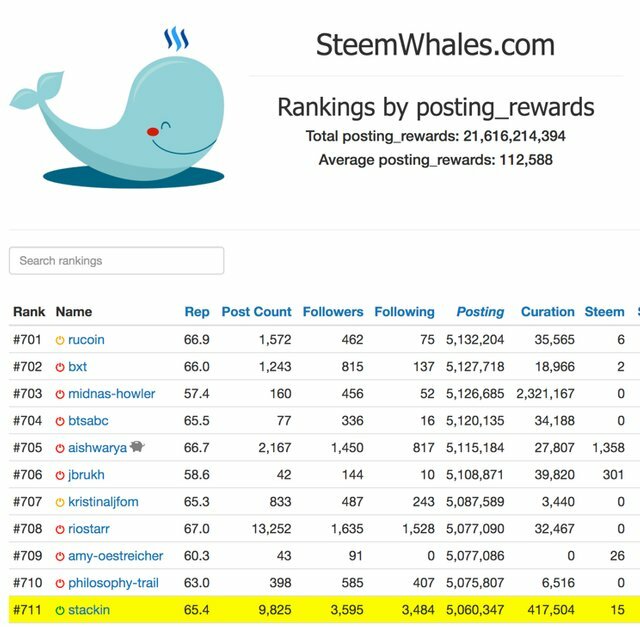 The Posting Rewards were 5,060,347 (5060+ Steem Power) and it was ranked #711 of all time since the beginning of Steemit. The numbers even surprised myself 🤣😲😳. Here is a screen shot from one of my go to websites called Steemitwhales. If you want to have a fast start on Steemit, I recommend everyone to buy at least $500 of Steem. It's soooo cheap right now sitting at $1.20! Later this week, I will probably talk about "Curation Rewards" and what my results were. I just wanted to keep it very simple today by focusing just on "Posting Rewards". Once again guys, thank you for all the support and always remember... never give up and do your best, in time you will become great! Wow you really are killing it on steemit. Great job man! Keep rocking it hard, I'm truly impressed! People Need To Get Steem Power! @nmao don't follow blindly there are many educational post such as this and many steemit videos on youtube explaining everything. If one wants to earn online he/she needs to invest not only money but also their time. Time posting, reading, interacting such as this and you need to invest more time learning and understanding the platform and how it works. Following blindly is not a good idea my friend. Tried to do it and it's no good. And oh, if you did bother to study and watch youtube videos, you'll never wonder where the payout money all comes from. Have a good day! She's a boss lady. I have watched youtube videos of steem but still can't really understand the money bit but the idea of a decentralized chat is clear. What up @lichtblick, you the man. Beast brother! Keep up the hustle. If he invest more, he would have got more. I wish I can invest more though. Keep up the hustle brother. Your momentum is solid! Hard work pays off! Do you use any Discord chat services to talk to your homies on here? Hardwork is the key of success, you did it! At this rate you will be king of steem in no time. Congrats to you prince stackin! @stackin HELL YEAH !!! You Rock Dude. I need to look you up next time I come up to Vegas. You are an inspiration to me as well as so many others. I need to find my Wallet this week and buy some more STEEM too......................STEEM ON Brother !!! I hope to accumulate that much Steem in the comming years! 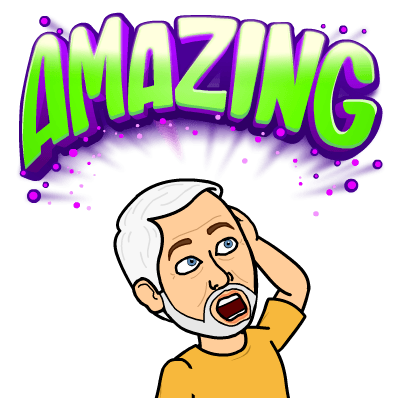 Btw I totally agree with your recommandation for newcommers about buying 500SP cheap to gain a head start here on Steemit!!! You are my inspiration. sadly unlike you, I cant buy anything because of stupid banking system in my country. Excellent result @stackin, if you could do it, then I can do it! Challenge accepted @stackin, I'll do it in 3! For those of us with little money to invest, I suggest leasing delegation through @minnowbooster. I have just started doing it and my little 0.01 upvote is now a big 0.10 upvote! I think this is a cost effective move when you are a little minnow and may not be worth it as you grow. Thanks for such a great example for the rest of us. Great job and congratulations, @stackin. It's an inspiration to all of us here committed to being successful. I am experimenting a lot now, but am staying focused on providing good curation and making friends with those here with whom I have things in common. I think those two points are the keys to my eventual success. I'm looking forward to your upcoming post on curation. Congrats again! Cheers! You're keeping up to your stackin handle..... whoot, woot for you! You inspire us to press on and keep it simple, fun and engaging. Great job as always. Steem Power is the best. Good news. thanks for sharing. wow fantastic work friend, many congrats on getting 5K + SP, you are good author and you truly deserve it. keep up your good work and enjoy. Great job! it just keeps building and can really payoff in the future for sure. I was looking more into Zcoin last night and I'm stacking up more of that too after what I found out late last night. There is so much potential in so many projects it is nuts. 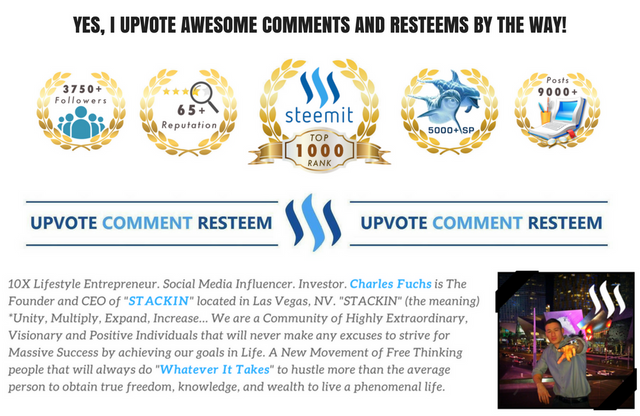 But yeah....... Steemit is one of the coolest things I have found online in a very long time! AWWW! :) hehe runner up. :) It was super sweet of @firepower to award the runner ups. I'm still waiting on @blueorgy. Hoping we win tickets from him. EEKKK fingers crossed. You certainly did socially influence me. nice clean graphics. you said I can but I don't have $500? You have got all the support! Keep rocking! Don't stop, get it, get it!!! @stackn that's truly awesome man. I also noticed a nice touch in ur article - the complex signature at the end. It's an article itself! I will surely try to emulate something like this to my account. Congratulations on the wonderful accomplishment @stackin. I know it takes a lot of work to get to the point you are at. My first month here saw me spend a lot of time interacting with others and I feel I made a good start. People need to realize this isn't a get rich quick scheme but it can yield a serious windfall for those who all participate in making this great. Fortunately, I was able to buy just shy of 1000 steem in different batches. I am glad I did since it is helping me become more active and have some value when I upvote people. I look forward to your article on curation rewards....that is something that I am still trying to figure out. Thank you for all you help. damn, nicely done. steemvoter.com is giving me login problems. keeps saying error. You are a machine to do steem power congrats @stackin!!! Hey @stackin! Really nice work man, awesome entrepeneurship! As a guy that cares for the Noobies around here, you might be interested to support this initiative! It might even be interesting content for your upcoming piece about Curation. For those with little Steem Power that want to increase their Curation rewards, you are welcome to follow and try to be the first one in on the next round! Up and followed, Steem on! You rock bro... Congrats always. Hustle pays a lot. Unbelivable good work what you are doing @stackin. Congrats man. I've been using steemdollars to buy bitcoin cheap and I think I will start using that to convert the bitcoin into seem until as you suggested I get around $500 dollars worth of steem. I'll be stacking as right now I only have about $200 dollars worth of crypto and probably only about a quarter of it is in steem right now, but one day I'll make it there! It's all about that Steem Power! Absolutely correct. Steem Power is the name of the game. Congratulations on your earned 5000+ Steem Power! This post has received a 2.95 % upvote from @booster thanks to: @stackin. Nice work. I only just discovered steem accidentally but definitely gonna look to hold some steem dollar for long term. 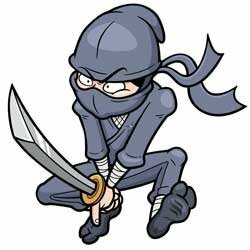 I need to start being more active on steemit and start buying more steem with my loose crypto scattered around, life just been sucking up most of my time. Steem Power,steem ,steem dollars....still very confusing to me how people make all the money they make. Wow,awesome bro 😍😍 you are doing great..
Congratulation Charles .... keep stacking!!! bro congrats man! Just actually put a goal out in front of me to get to 1000 by the end of October...I guess I'm shooting a bit low - thanks for being positive and hopeful to people! let me know what you think if you check it out! Curation rewards and STEEM POWER is the way to go. I earn approx 1 STEEM 7 days . Now all i need to 10x my STEEM power, then it's 10 STEEM in 7 days by just voting others :D and then multiply it again by 10 ! @stackin, Charles fuchs many many congratulations on achieving mild stone of 5000+ stem power. Amazing and wonderful, you spot a guideline for those members who r struggling a lot. And your struggle and advices are appreciateable, thanks for sharing and keep it up. That's incredible man! I hope to get on your level eventually lol! Right now I've gotten the vast majority of my SP from investing in it myself. Been here 3 months probably made less than 500 SP from my content (if you don't include pay-for-votes like booster.) That's a huge achievement making several thousand! Really inspiring story, one of the first things i learned on steemit is always invest in steem power. You are really a great inspiration for us and we believe someday we will be standing next to you. Thanx for motivating us dear. What about those who don't have the resources to buy steem, what should they do?. Very impressive. And yes, you have to buy some Steem Power if you want a good start on the platform. I need to seriously buy some Steem Power. Stackin All The Way Up ! Nice stackin some SP there. I am also proud on my first month in steem :) Looking forward to that $10/steem next year :P :P Thanks man! Congratulations!!! Always have to keep on pushing and setting those personal goals! I really need to treat steem like an investment because 2 to 3 years form now the value would be tripled. Congratulations @stacking. That's a great accomplishment. Working hard on building that Steem Power. I'm so happy that you are going to make a post about the Curation Rewards because I'm still confused about it. Can't wait. Congrats man. Best of luck for your future. congratulation@stackin for your 5k SP, it show how much hardwork done by you, thanks. To help keep my Jōki (蒸気) power strong, I rely on the support of my fellow #thealliance brethren. When able, please upvote my attacks so that I may stay mighty and continue to defend and protect our beloved team! Well done! That is a great accomplishment. How did you earn so much? Awesome, you deserve it. Thanks for blazing the trail and giving us the roadmap!! Congrats man! Its not an easy thing to do and it takes a lot of time and dedication every day to get there, congrats on persevering! I've read a stat somewhere that only 25% of new signups stick it out past the first month, let alone longer and even fewer get to where you are now. kudos! Hope to be like you one day. You inspire us. Wow what a great post so motivating. I am going to buy so more steem now. 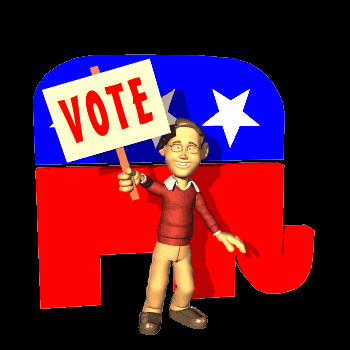 I hope to be bringing a lot of people to steem with my YouTube videos Ive got over 1k subs so its looking good. The world needs to know about steem and its benefits.